Maria's Stamping Station: On Film Framelits Stampin' Up Video and NEW Photopolymer Personalized Stamp now available! On Film Framelits Stampin' Up Video and NEW Photopolymer Personalized Stamp now available! 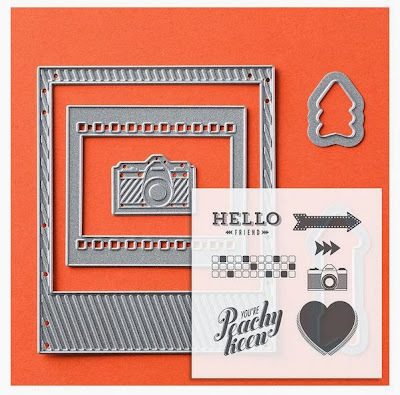 Here's a video Stampin' Up shared with its Demonstrators discussing how best to use the Peachy Keen stamp set and On Film Framelits/Thinlets. The video gives you some tips on how to get good embossed images, shows you some great samples, and more! Email subscribers will need to click over to my blog to watch the video. 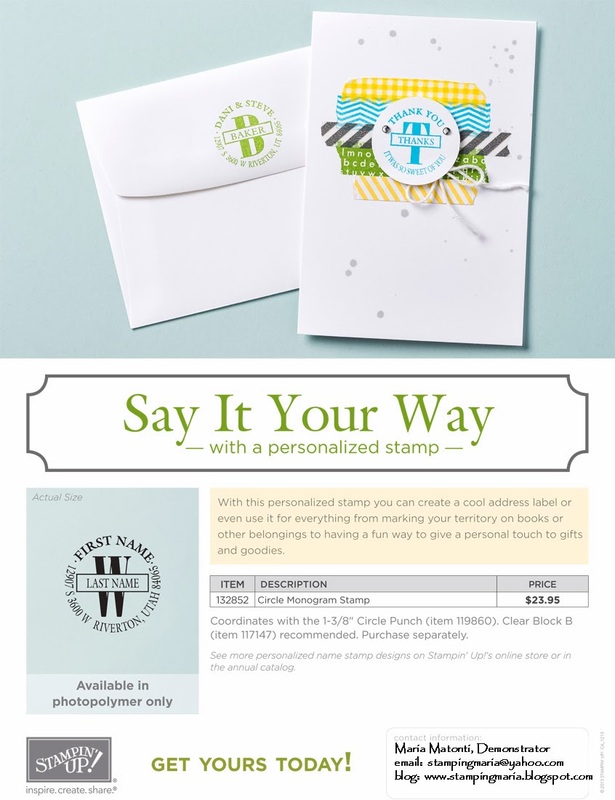 Also, Stampin' Up just introduced a NEW PHOTOPOLYMER Personalized Stamp. When you log into your Online account here, you'll be able to preview the stamp before you order it. You can include whatever words you like ("save the date" "introducing", etc).